This was yummy! I’m happy with this dressing! Just the right amount of herbs and garlic. I'd just make another batch and skip the dill. Then stir the two recipes together. We love dill in our dressing. Here where I live we don't have sour cream available, or I couldn't find any, so I just made it without it and it tasted absolutely awesome anyway. The texture was a bit watery, though, do you know what I can do about it that doesn't include sour cream?Thanks for the recipe, I really liked it!! I'd double the mayo to compensate for the missing sour cream. Otherwise, the milk will make it too liquid. 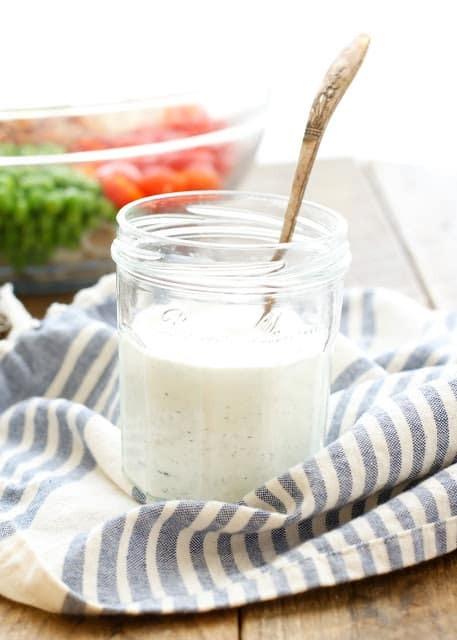 You could use plain Greek yogurt i have seen that on recipes as a substitute for sour cream. Is this best with real mayo or miracle whip? Can you make this without the mayo or would it affect the flavor? Say if I were to double the sour cream, would the flavor be similar? Yes, that will work. It will have a more pronounced sour cream taste, but I've made it that way when we're out of mayo. I slightly reduce the milk in the recipe if I'm using only sour cream, as there is more liquid in sour cream than in mayo. I’m not a ranch fan but my friends are. So why not give this recipe a try, I thought? I’m so glad I did!! I loved it and needless to say, I will make it again. I'm so happy you are enjoying the recipe, Ann! Thanks for this recipe! I love pickles so much so I'm definitely gonna make this for the fam next time I hit the grocery store! I'm so glad you're enjoying the recipes, Billy! Meh. Very little flavor. Definitely not the best ranch I've ever had. My search continues. Sorry to hear it wasn't to your liking. We LOVE this recipe. Best of luck in your search! 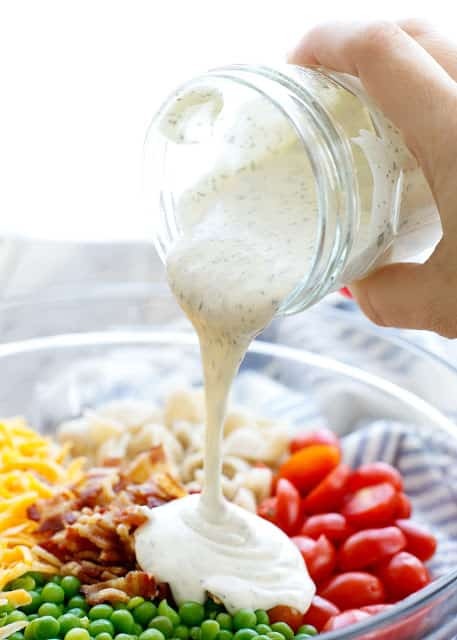 this is the best ranch recipe I have came across to date! I have tried many! I found it to be way too thin so I added 3 or 4 Tablespoons of cornstarch along with two regular spoonfuls of sour cream. I just could tell by looking at it on what I wanted. I was afraid this would make it bland but it did not. It was still had its amazing flavor. Thanks!!! I'm so glad you enjoyed it, Gina! (The dressing typically thickens nicely in the refrigerator too.) 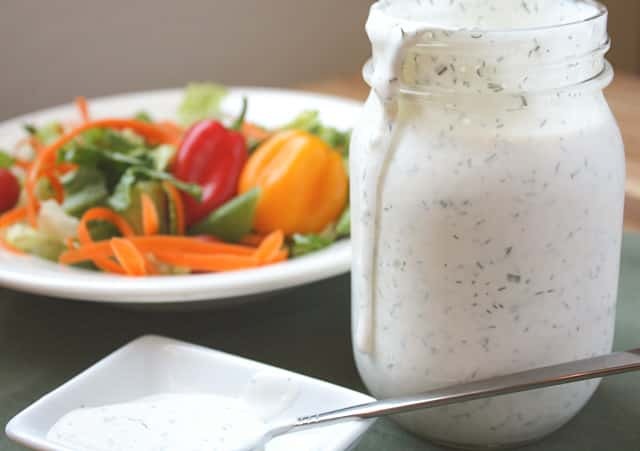 If you're looking for a thicker more dippable dressing, you'll find several ranch dip recipes on the site as well. 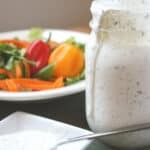 I am so excited to try this recipe, as I LOVE ranch but have an extreme sensitivity to Onion and Garlic. 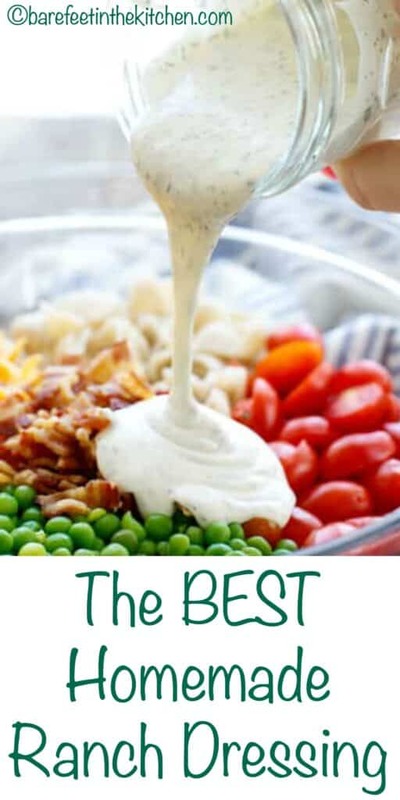 With this I can omit them, possibly replace them with extra chives, maybe celery powder and finally enjoy ranch again!I do have two questions about the recipe. Firstly, I am not a fan of Mayo. Would you recommend replacing it with anything? Greek Yogurt perhaps? Or is the mayo flavor not strong in this recipe?Secondly, would canning this in small portions extend its shelf (fridge) life? I would love to make up a batch that would last longer than a week.Thanks so much! You can absolutely omit whichever ingredients you aren't able to enjoy, Sabrin. While "I" don't taste the mayo, you might. It's worth trying with greek yogurt. I'd reduce the milk in that case though, as yogurt is much thinner than mayo. Lastly, you definitely can NOT can this recipe. The dairy will spoil. 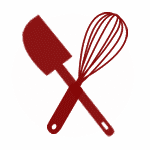 Luckily, it only takes about 3 minutes to stir the recipe together, so you can enjoy it whenever you like. I'm thrilled that you enjoyed the recipe, Christina! That's a great tip, Richard. I loved this recipe. It was quick to throw together and tastes better than store bought! I am thrilled that you're enjoying the ranch dressing, Pam.